A vehicle inspection (shaken) is compulsory for all vehicles in every 2 years, it ensures that all vehicles on the road are properly maintained and safe to drive. The test also checks that vehicles have not been illegally modified. The test must be carried out at an authorized service garage or at the Transport Bureau. Inspection and maintenance services can also be found at most car dealers. Before proceeding the inspection, the service garages and dealers normally provide you a cost estimate but the price may also vary depending on the types of your vehicles such as yellow plate or white plate. Please check the expiry date of your vehicle on your Shaken document referring the below image. 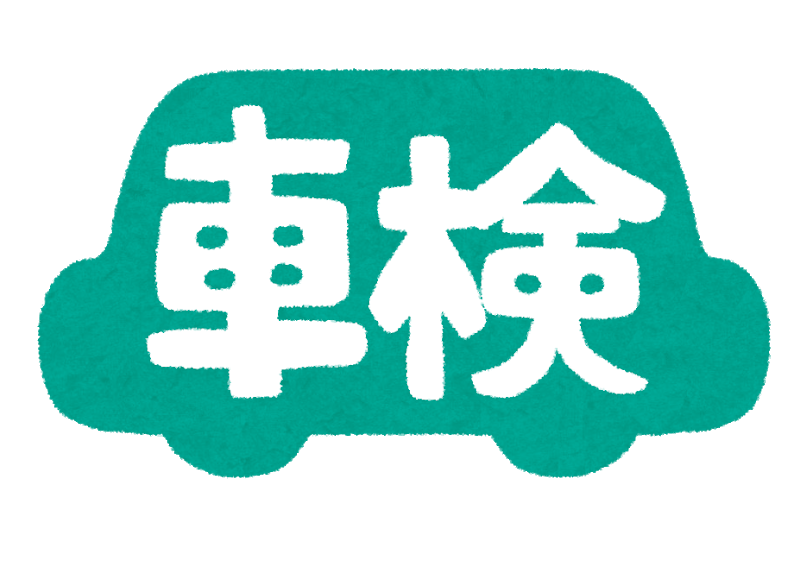 Inkan stamp: Inkan stamp which you used for purchasing the car. 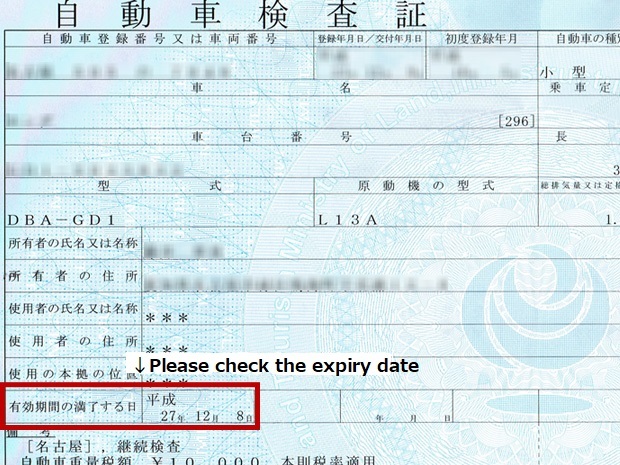 検査機器使用量等Usage fee for inspecting equipment etc. Should a car not meet any of the test standards, repairs must be made before passing the Shaken inspection. *Full service in English. Free Loner cars. Free car wash. Free estimates. Q. I pay automobile tax/light-sized vechile tax every year. Do still have to pay weight tax which is listed as one of the shaken costs? A. Yes. They are different types of taxes. Automobile tax/light-sized tax is levied by a local government(prefecture/municipalities), while the weight tax is levied by the central government.